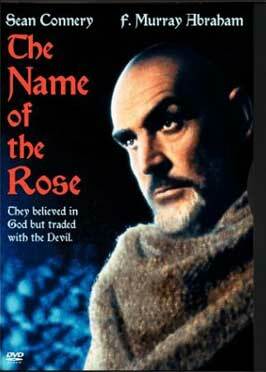 Have you watched the film "The Name of the Rose"? This film is so stunning and will definitely arouse your interest. It is controversial as the film, an adaptation of Umberto Eco's novel question the issue on faith versus reason. yesssss I saw it!! !Great movie but the book is more! Beautiful, but I prefer the book! Umberto Eco has also written "Il pendolo di Foucault" which is simply marvellous. I really advise you to read it! I actually did see it. A few years ago. I must admit that I did enjoy it. I thought that it wasn't half bad at all. Wow. I've not seen that film in ages! It was definately very well done, and very rich. I would recommend it highly.